Bernard Tschumi’s retrospective exhibition documenting 40 years of theoretical and built work opened on April 28, 2014 at the Centre Pompidou in Paris. 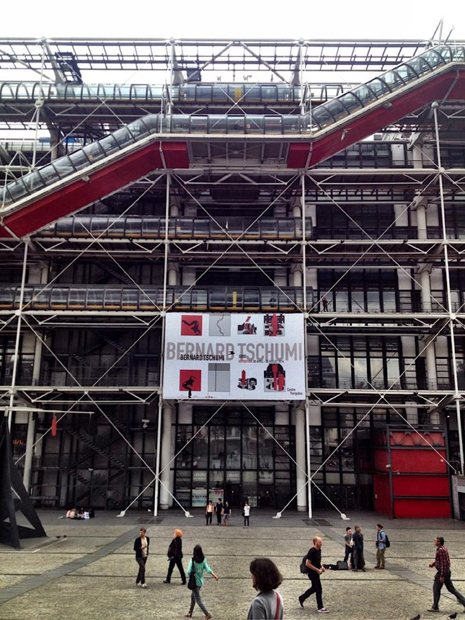 The museum presents the first major retrospective of the work Bernard Tschumi in Europe. Working closely with the architect, the exhibition is to include nearly three hundred fifty drawings, sketches, collages and models, many of which are previously unseen and unpublished. With exhibition design by the architect, the original works are supplemented by documents, artifacts, and films placing the work in cultural and historical context. Through built works and theoretical exercises, the exhibit explores the transformational process of an idea or concept in the evolution of an architectural project. The exhibition documents for the first time the Bernard Tschumi’s process as much as his finished works. The exhibition highlights the three sections of Tschumi’s work, consisting of the architect as theorist, cultural prescriber, and builder. The work is developed thematically and chronologically through five thematic periods in the exhibition (space and event; program and superimposition; vectors and envelopes; concept, context, and content; and Concept-Form/'>concept-form). The exhibition will be open to the public April 30 – July 28, 2014. 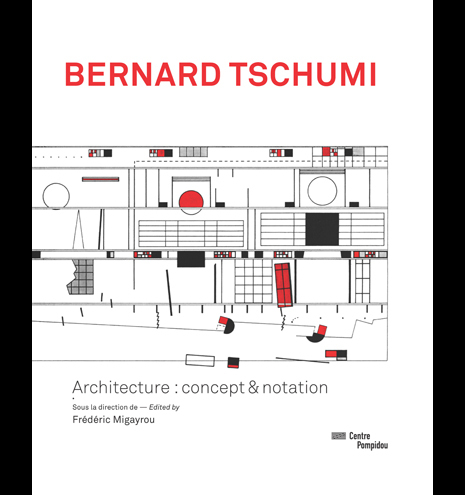 “Published on the occasion of the retrospective exhibition of the work of Bernard Tschumi at the Centre Pompidou, this catalogue retraces key moments in the architect’s practice. Abundantly illustrated, it argues two fundamental points at the center of Tschumi’s work. First, architecture must be made out of ideas and concepts before becoming form. Second, it cannot be dissociated from the events and movement of the bodies that inhabit it. In consequence, architecture demands new modes of notation to construct an architectural language capable of embodying the interactions between space, event, and movement." Bernard Tschumi delivers one of two keynote addresses (with Zaha Hadid) at the 102nd Association of Collegiate Schools of Architecture Annual Meeting. 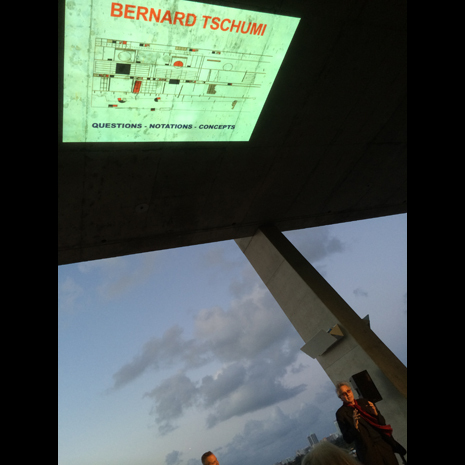 Tschumi’s talk was held on the upper level of 1111 Lincoln Road, the parking garage by Herzog & De Meuron in Miami Beach, Florida, followed by a reception. At the event, Mr. Tschumi received the Gold Medal Award from Tau Sigma Delta honor society for architecture.